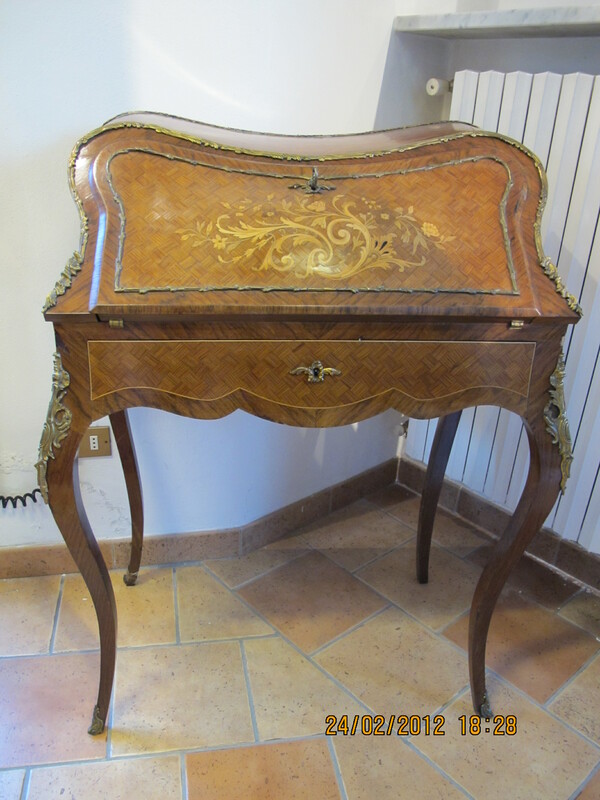 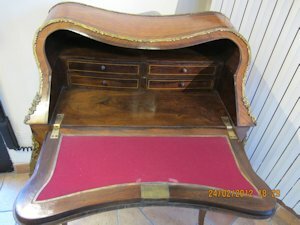 Beautiful Napoleon III walnut secretary with rare woods inlay and bronze friezes. 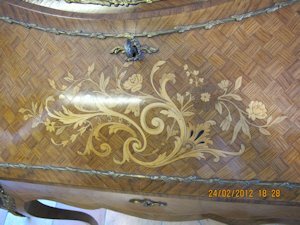 It is possible to change inside upholstery. Cm 99x75x46,5.